Well, a large portion of my life at least. Not quite all, but… an uncomfortably high percentage of it. 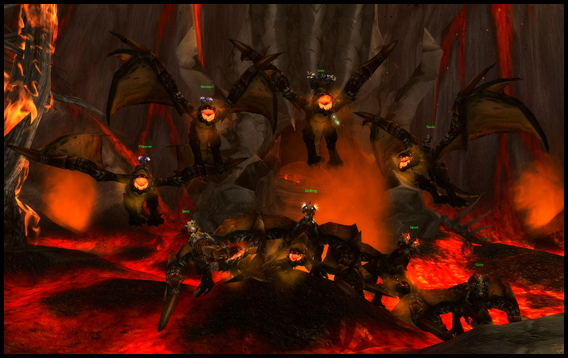 Anyway, I’ve started a serious series of posts, about being the guild leader of a successful World of Warcraft guild. This is obviously a series of posts aimed at gamers in general, and WoW players in specific. You might find it interesting if you’re an outsider looking in — a girlfriend of a WoW addict perhaps, or maybe someone that’s interested in picking up another game to play! It will focus on tips and tricks for up and coming guilds, the politics of WoW guilds (and online communities), and it will hopefully provide an insight into the inner workings of a successful guild leader. It has its own category, which you can find on the right, and its own RSS feed — take a look, if it tickles your fancy! But being a WoW player and a cool person are not mutually exclusive… It just so happens that a certain kind of people tend to move towards online worlds easier than… well-balanced individuals! I’m a WoW junkie, but you wouldn’t know it unless I told you, right?